This event sponsored by Royal FloraHolland was planned by long time industry visionaries Herman De Boon and Jaap Kras. 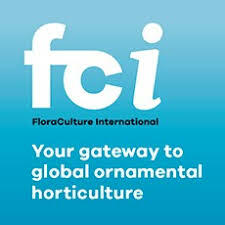 As the title suggest this was a meeting of those companies Worldwide that want to have a say in shaping the floral future. With that said, I believe I was the only American in the audience, amongst the many, approx 180, others from Europe, Asia and other flower producing countries. The theme; Vertical integration in the horticultural sector. Jaap Kras opened the meeting by comparing a supply chain from 1990 when a flower was sold by a grower to a trader via the auction then to a wholesaler and then to a second wholesaler next to a retailer and finally to then end consumer vs today where many of these middle steps have been eliminated. But is this enough when our end consumer is demanding more and more service and convenience and even lower prices? 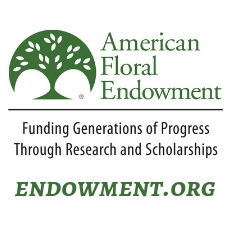 All of the major global floral organizations were present, again minus any US representatives, to present their organisations position and value in the floral chain. Union Fleurs,(International Trade Association) AIPH (International Association of Horticulture Producers) , Ciopora (plant breeding rights), and Florint (The Retail Florist Association). He reminded as business owners, that we are all subject to change and elimination if “change” is not part of your business strategy. Uber is the largest taxi company in the world and yet owns no taxis. Air BnB is the largest hotel chain yet owns no hotels. He suggested that the biggest threat to our industry could come from a totally new player. Alibaba, Amazon? The future customer could be the producer making them Prosumers. Where the end consumer grows the head of lettuce, or gerbera in their house. Flowers printed with 3d printers on demand. The panelist did not all agree and in the end this is not the type of meeting able or designed to draw any concussions but to begin talking to each other about what is happening and what can or will happen in 5 – 10 years. I left with a good feeling about the spirit of this meeting and suggest that more of my American floral peers would get involved. I also hope that the discussion does not stop here and will continue to grow. And of course flowers were rewarded to the speakers.